Rose gold gets its color from adding copper alloys to yellow gold. Unlike white gold, it has no rhodium plating, which makes rose gold durable and longer lasting than white gold, and despite its rarity, is more affordable than platinum. A higher karat rose gold will have more gold in it and therefore look slightly less pink than a 14k rose gold. 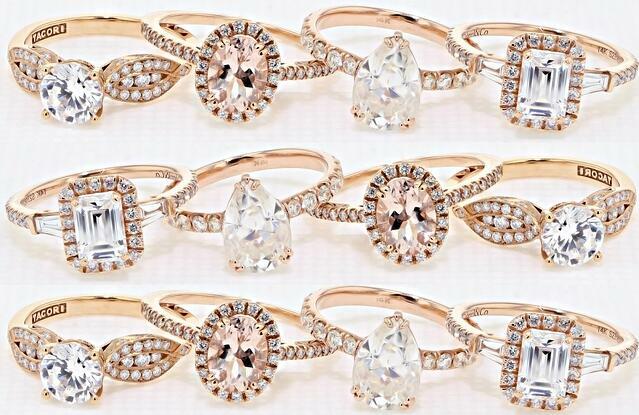 The Tacori Pretty in Pink Collection at Icing On The Ring comes exclusively in 18k. 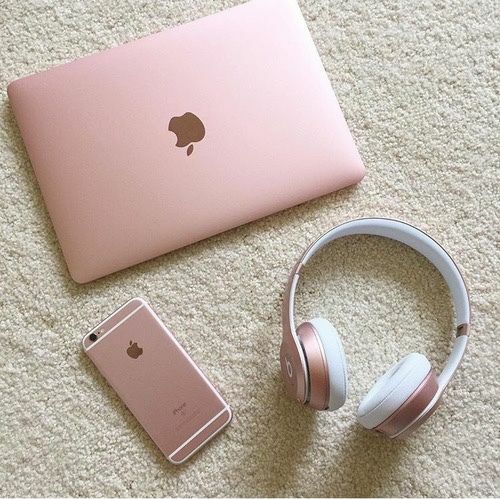 Rose gold (also known and pink or Russian gold) has become a popular choice for all types of jewelry and has even carried over into other accessories such as shoes, purses and personal gadgets. The warmth of rose gold jewelry is flattering for any skin type. Rose Gold saw it’s heyday in the 1920s, when platinum use was only allowed for the military, and up until recently had fallen out of popular fashion. It took until the 21st century for rose gold to come back into trend, as jewelry lovers looked for more colorful options in their fine jewelry. The rise of rose gold can be attributed to recent styles that combine romance and femininity with modern traditionalism. It’s a vintage throwback that has been revived for today’s retro-appreciative consumer- chic, cool, calming and strikingly different. Our Rose Gold Love Pinterest board has plenty of great examples of recent rose gold trends in fashion and weddings. As rose gold jewelry styles make their way into the mainstream, more brides are choosing rose gold engagement rings to set their rings apart from the more classic gold or platinum foundations. Different gemstones lend themselves nicely to rose gold metals. Besides diamonds, morganite is a gem often chosen for rose gold jewelry because it accentuates the pink metal for a stunning, all-around blushy look. Wedding bands in rose gold for both men and women are becoming more common as well, for the non-traditional, yet stylish couple. 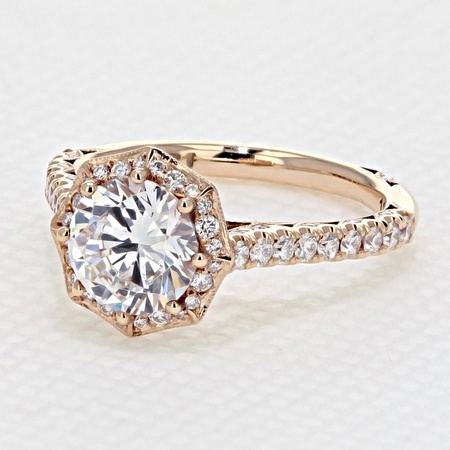 Interested in beautiful rose gold options for your engagement ring? Explore our selection or talk to one of our jewelry experts to learn more.